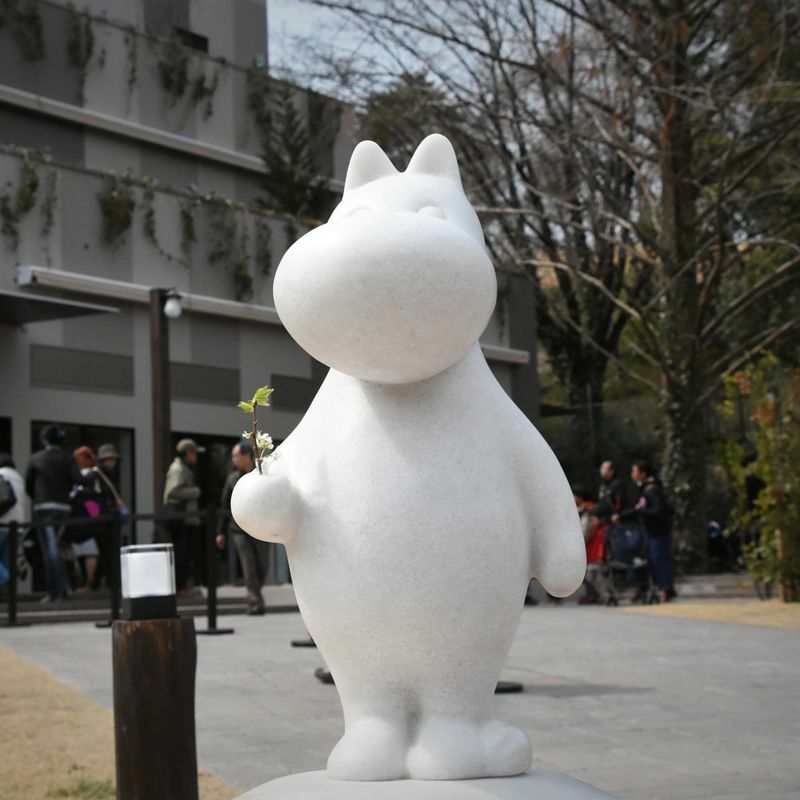 After Moomin Valley Park in Saitama Prefecture near Tokyo opened its doors to the public on March 16 Japan’s first Moomin-themed park continues to draw the curious into a journey that the operators hope will be as much about them as it is about the Moomins. 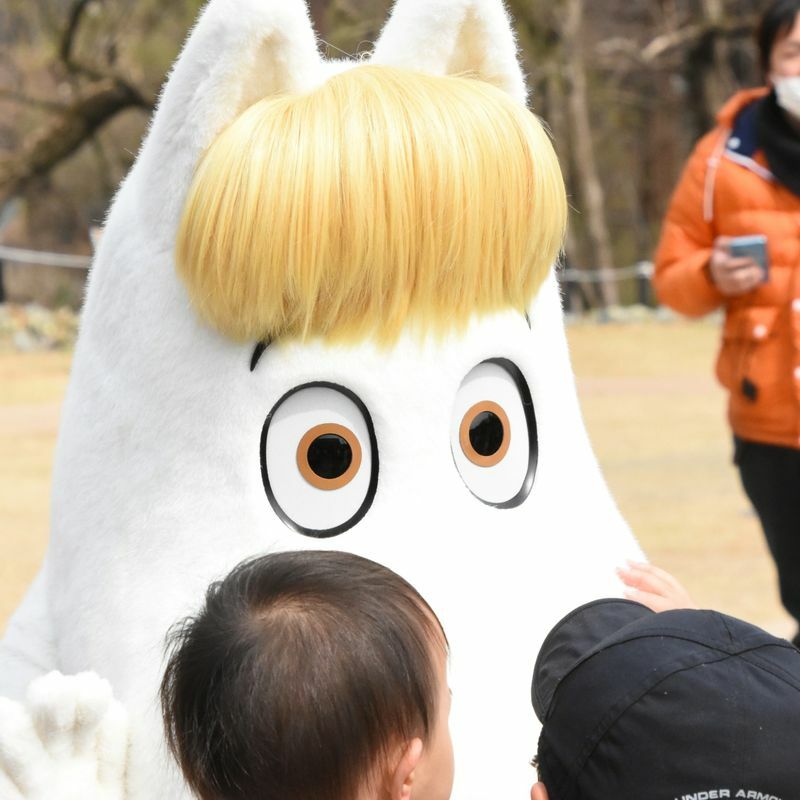 On a blustery Friday afternoon nearly two weeks after its grand opening curiosity surrounding Moomin Valley Park seemed to remain high with a steady stream of visitors entering the attraction located in the city of Hanno. It’s still early days but according to park operators, Moomin Monogatari Co. Ltd., a target of one million visitors a year is on course to being surpassed. 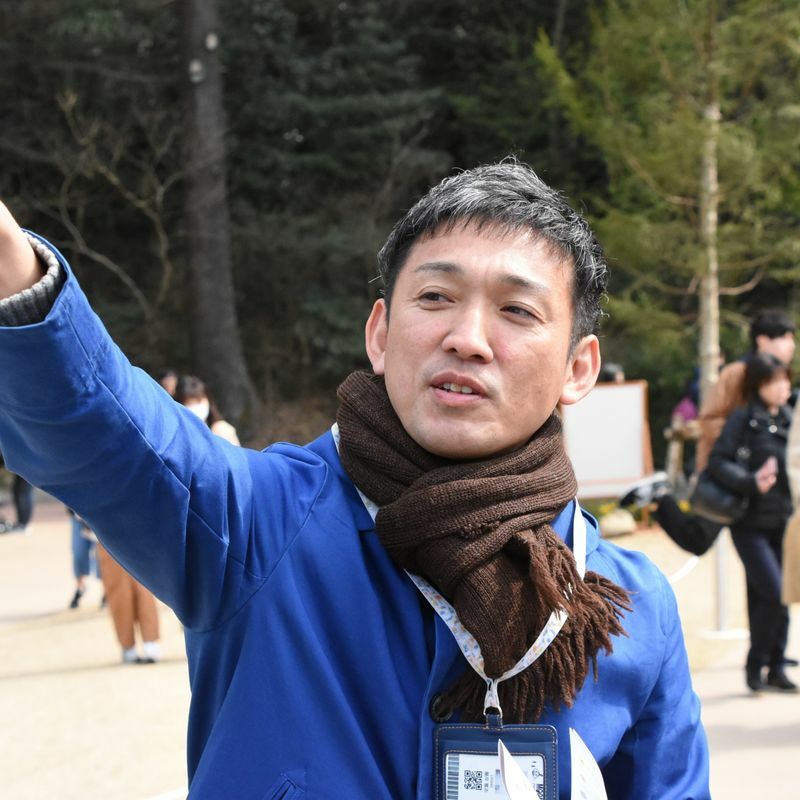 “Moomin as a name is widely recognized in Japan but there are still many people who don't know what's behind this name,” explained the operator’s Communications Director Atsushi Fujii during our visit. The operators have a wide demographic in Japan to work with. In addition to primary target demographics of young families and females in their 20s, curiosity could well be stirred among older generations who grew up watching the animated television series which started airing in Japan in 1969. 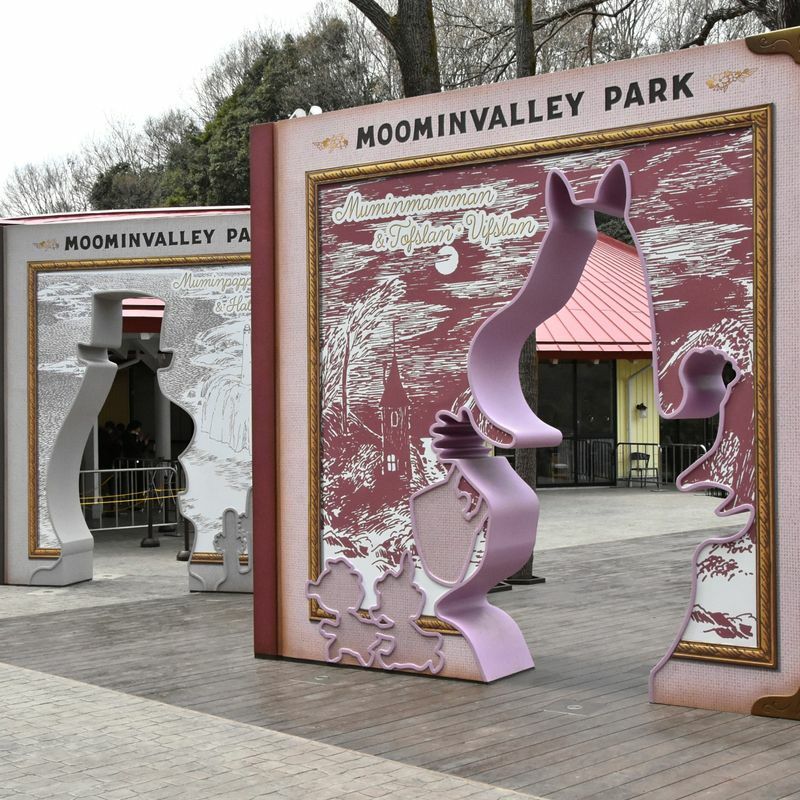 Becoming familiar with the world of the Moomins or revisiting one’s childhood, whatever their purpose, Moomin Valley Park presents visitors with over 30 attractions, exhibits and stores to help them indulge it. Park areas are spread out along the southern shores of Lake Miyazawa, an area chosen for its resemblance the forests and lakes so synonymous with Finland, the country that gave birth to the Moomin world. “At the time we were starting out with this business, we were looking for a place that had woods and lakes, like in Finland, and the people from Hanno recommended this area. After doing more research we really felt that it was similar to the atmosphere of Finland and were sure that this would be a good home for the Moomin characters,” Fujii explained of the setting that, as well as Moomin Valley Park, is also home to the Nordic-themed Metsa Village. Even before the park’s entrance though, attention is turned to the Moomins with large-scale models of Tove Jansson’s children’s books standing upright with the outlines of Snufkin et al cut out to create photo ops that were proving popular on the day. 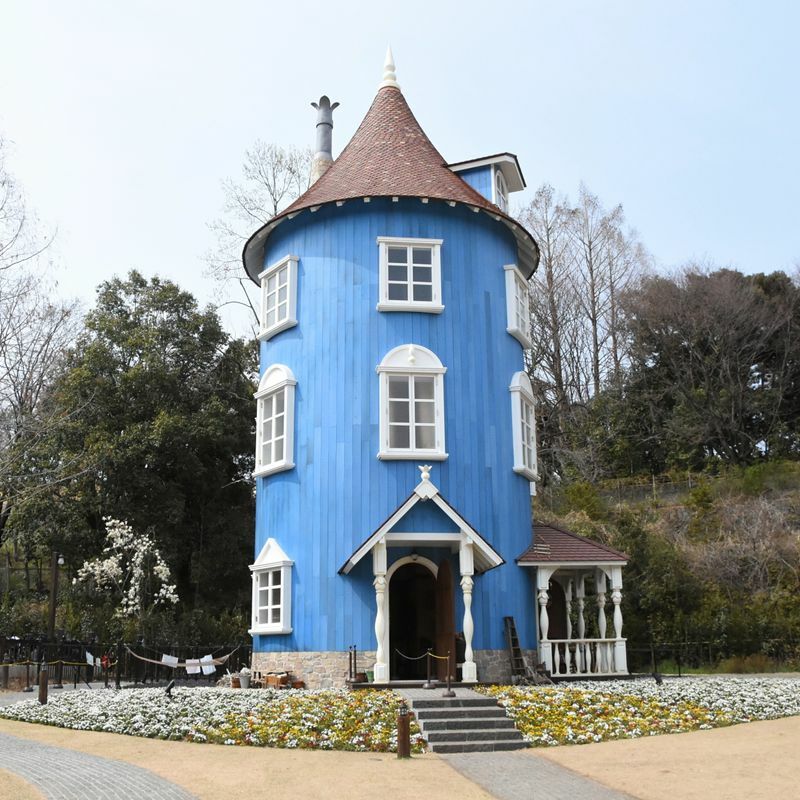 Inside the park proper, the three-story Moomin House, with its bright blue paint work, is the dominant feature watching over the Moomin Valley. The majority of the park’s attractions can be found within its vicinity. These include Emma’s Theatre where scheduled theatrical performances recreate Moomin stories. The bow of a large ship bursts through one side of the large Ocean Orchestra attraction where inside, with the aid of projection mapping and real water (cover your cameras and phones), we were taken on a bobbing, swaying, and soaring immersive adventure with the Moomins, as if on board the ship from the story books. Further along the lake shore, in the Lonely Mountain area of the park, visitors of a more active bent can fly 400 m over the lake waters via Hobgoblin’s Zip Line Adventure. Perched atop the “mountain” itself, at the time of visiting kids were going giddy over the extensive Helmulen’s Playground. As well as a number of food stalls, vendors and stores selling light snacks (look out for the popcorn served in portable Moomin House containers), there are three restaurants within Moomin Valley Park. 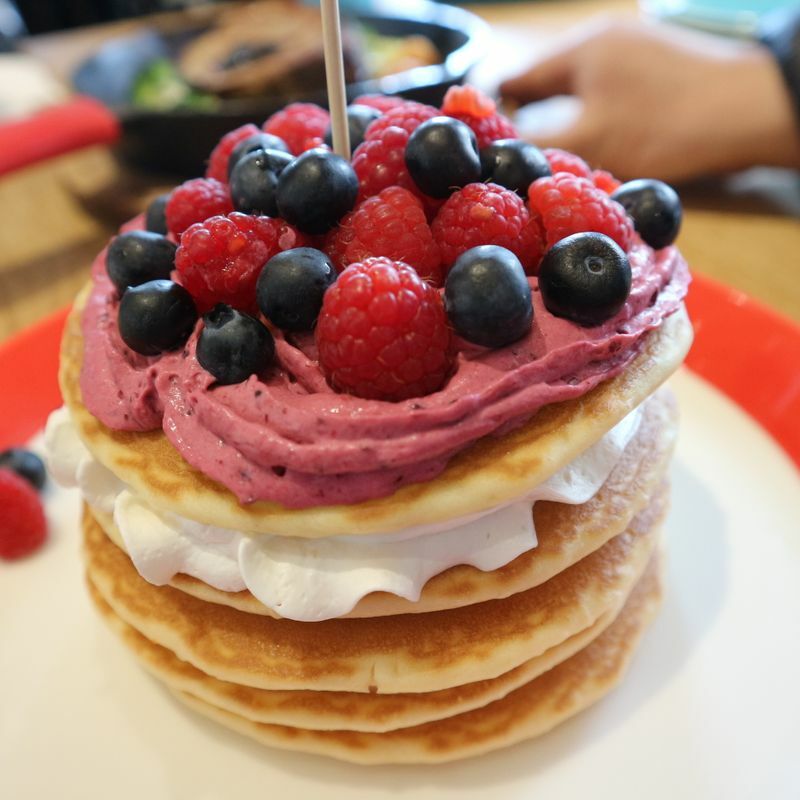 We ate at Finnish pancake restaurant Lettula, by the park entrance, where the coffee is served in ever-so-cute Moomin-themed mugs and the layers of pancakes that make up the Very Berry Lettu are very, very filling. Walking around the park more Moomin-savvy visitors should be alert to posts displaying small pictures of scenes from the books which look out over the same scene as recreated in the surrounding environment. And then there are the Moomins themselves whose presence, if not immediately visible, will likely be given away by the excited cluster of visitors gathering around them, straining for a photo. Much like when Mickey and Minnie walk among the visitors to their respective park. Beyond the popcorn and popular characters though, comparisons with Disneyland will likely run out. Here in the Moomin Valley, aside from filling-in any knowledge gaps pertaining to the Moomin story, operators are hoping that a visit to their park can also be something of a journey of self-discovery, more experience-based rather than the traditional theme-park model centering on Hollywood-style mechanical attractions. “The big difference between a place like Disneyland and ourselves is that Disney already has a clear story and I think people enter the world of Disney through that,” explained Fujii. **Note: Moomin Valley Park is approached through the Metsa Village which is free to enter. The nearest transport hub to the park is the train station in Hanno to the south. Direct trains to Hanno depart Tokyo’s Ikebukuro Station. 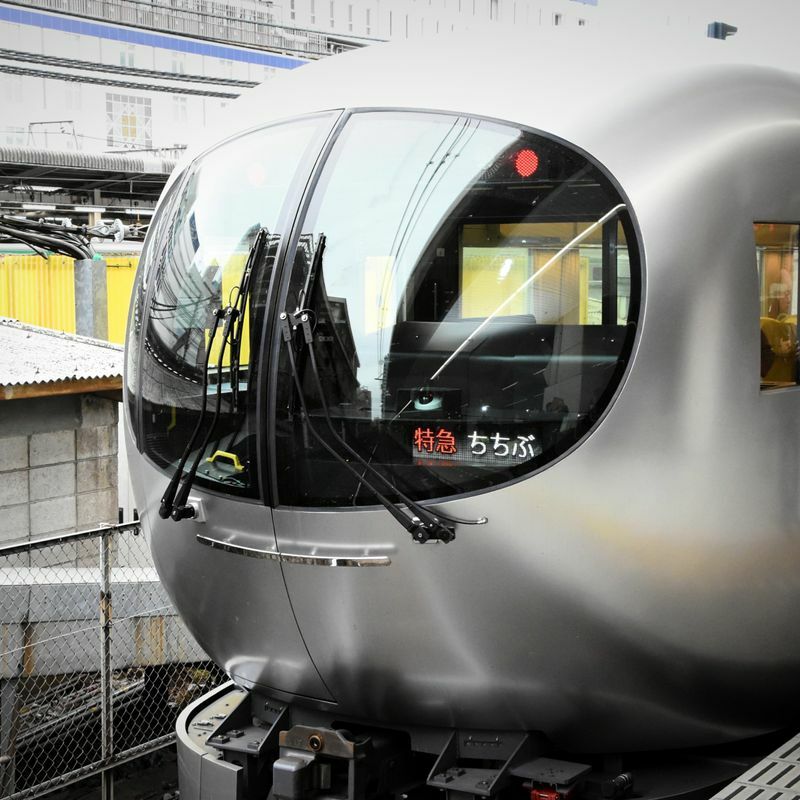 The fastest, most comfortable option is the recently launched Laview Limited Express service operated by Seibu Railway Co., LTD. Journeys from Ikebukuro to Hanno on the Laview take around 40 mins. The train is reserved-seat-only. Fares are 970 yen one-way (includes regular ticket and limited express ticket). Purchase tickets before boarding. Fares for slower express, semi-express and local trains between Ikebukuro and Hanno on the Seibu Ikebukuro Line are 470 yen one-way. Journey times are around 50 - 60 minutes. From Hanno Station buses to Metsa Village / Moomin Valley Park depart from a clearly labeled bus stop outside the North Exit of Hanno Station. There are three or four departures during most of the daytime hours on weekdays and many more during weekends and holidays. Fares are 200 yen one-way for the 10 - 20-minute journey. Note that I.C. cards cannot be used on the bus and change can only be given for 1,000-yen notes. Take a numbered ticket when you board and pay at the front when you alight. Returning from Metsa Village / Moomin Valley Park the same buses depart (with a similar number of departures) from bus stop No.1 close to the park entrance at one end of a large car park. The stop is labeled in English (although the timetable is Japanese only).